Welcome to High Tea at Flowerbar Pasadena! A tranquil place where you can enjoy scents and tastes of luxury as you indulge your senses and experience the high tea life. 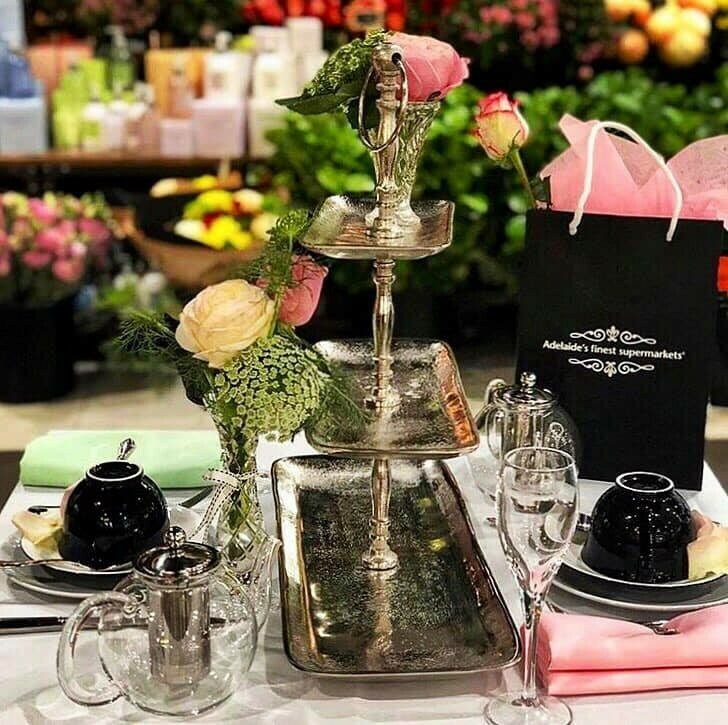 At Flowerbar Pasadena the staff will carefully create a relaxed sense of well being presenting a delicate array of sweet and savoury delights as well as their own artisan teas all served using fine china. The perfect social setting for small groups to share a special occasion; birthdays, baby showers and kitchen teas. *High Tea bookings are essential per afternoon session. Please contact the friendly Flowerbar team on 08 8374 5037 for full details. Enjoy! © 2019 All Rights Reserved Pasadena Shopping.